New Clutch! Less than 1k Miles since Major Service! Luxury Motorcars is happy to have one of our own back in inventory. 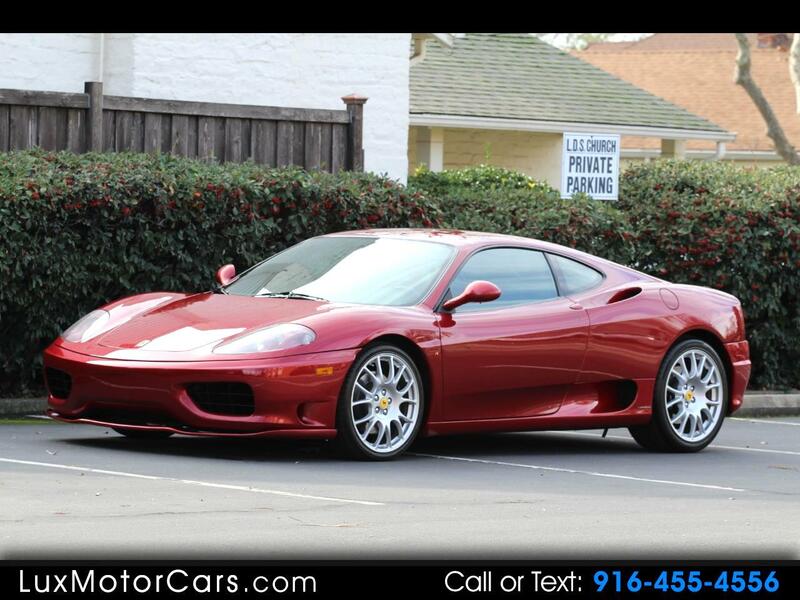 We sold this beautiful Rosso Fiorano 360 Modena to one of our good clients who just traded it in on their next toy. Both of its previous owners were very good people to purchase a Ferrari from, they took excellent care of the car, it is in excellent condition both cosmetically and mechanically. At 21,867 miles the car had a major service that included a new clutch kit, transmission mounts, a/c compressor, and fresh motor oil, gear oil, and brake fluid. Before being offered for sale it was carefully inspected by a Ferrari specialist and it is 100% ready for its next owner to take possession and enjoy. Message: Thought you might be interested in this 1999 Ferrari 360 Modena.